Our second stop in the journey of milk from the farm to the table is milk production – the heart (or milk) of dairy farming. There are many things that impact how well a dairy farm runs, how happy the cows are and, therefore, how much milk they make. From facility management, to herd health, to feeding dairy cows, to sanitation in the milking parlor, each process has to be optimized and continuously improved in order to take the best care of the cows and their milk. Dairy cows receive regular veterinary care, such as periodic checkups, and receive prompt treatment of illness. It is important to note that dairy cows are not routinely treated with antibiotics. Just as you’d only treat a sick child with antibiotics under the supervision of a doctor, dairy farmers care for their cows in a similar manner. When an illness requires that a cow be treated, antibiotics are administered according to strict Food and Drug Administration guidelines, which include withholding that milk from reaching your grocery store. When a cow’s milk is withheld, she is given special care and attention separate from the milking herd until her milk tests free of antibiotics. Every tanker load of milk is tested for antibiotics, both on the farm and at the processing plant. In the extremely rare event that milk tests positive, it is disposed of immediately and never reaches the public. Not to mention that the farmer is financially liable if antibiotics are found in their milk. 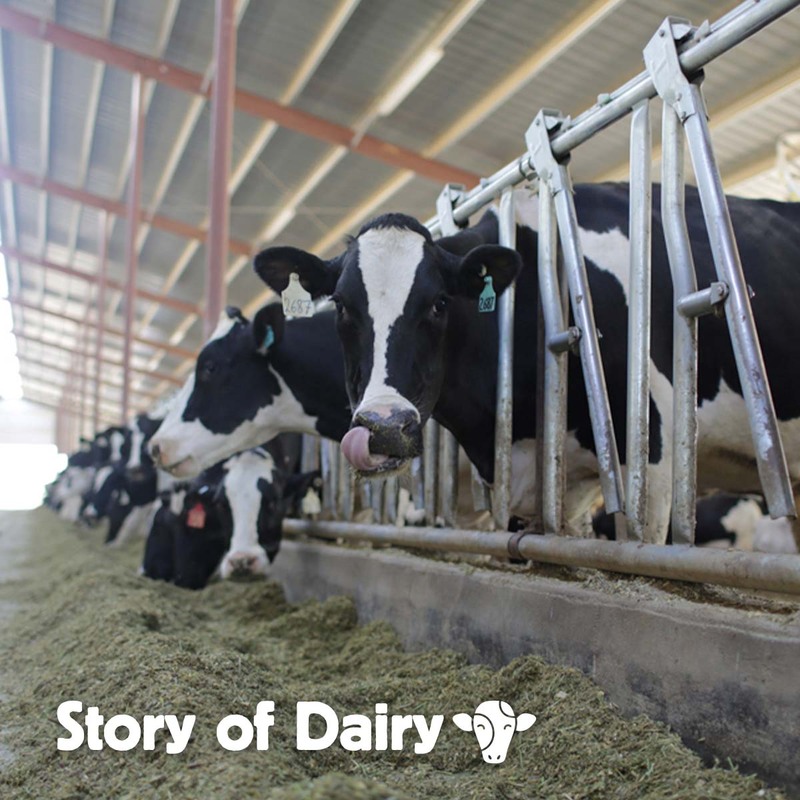 Dairy cows always have access to clean water, feed and shelter, and many dairy farmers use free-stall housing: a type of barn that allows cows to move about, eat and sleep at will. In hot climates, dairy farmers ensure cows stay cool and comfortable by utilizing fans and water misters – because, after all, cow wellbeing is their top priority, as cows are the farmers’ livelihood. Scientific and technological advances have allowed for better animal care. More precise farming practices have decreased inputs – such as land, water, fuel and feed – and improved efficiencies to produce more with less. What 26 million dairy cows could produce in 1944, 9 million dairy cows can produce today, and a gallon of milk today is produced with 65 percent less water, 90 percent less land and 63 percent less carbon. That’s sustainability at its finest, and it’s been accomplished by sharing best practices and working together as a dairy community to take the best care of the cows making your milk. Have specific questions about milk production and cow care? Please send us a message on Facebook or email info@dairymax.org.